Simon Bennett, Deputy Secretary General of the International Chamber of Shipping (ICS) has warned that avoiding overcapacity and unsustainably low freight rates is still a major challenge 10 years after the massive downturn of 2008. “In that time shipping companies needed to show restraint when ordering new ships to prevent stifling recovery. Yet the dark clouds of protectionism and slowing growth in key economies mean that the avoidance of over-ordering is now more important than ever,” he said. 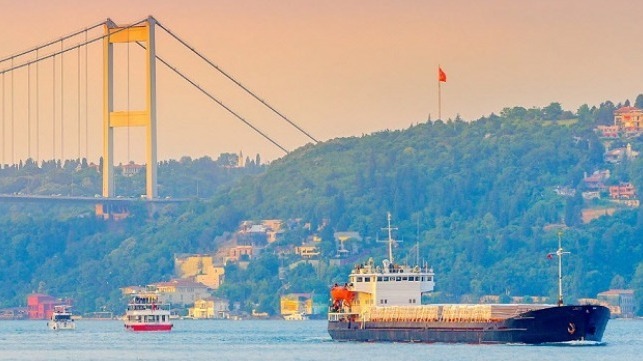 Addressing an audience of shipowners and operators in Istanbul at the Global Maritime Summit 2019, organized in conjunction with the Turkish Chamber of Shipping, Bennett acknowledged that individual operators would legitimately make their own individual business decisions regarding new tonnage. “Opinion is still divided on whether the rapid globalization that has been experienced in the last 30 years may have run its course and whether the slower rate of trade growth seen since the 2008 crisis represents some kind of permanent structural change,” he said. “Certainly in 2019, the outlook for the global economy and thus demand for maritime transport appears to be worsening.